What identifies a good quality rug? Home / Buying guides / Rugs Buying Guide / What identifies a good quality rug? There are several things to bear in mind when purchasing a new rug and quality is definitely one of the most important ones. Obviously you will have a budget in mind and you might think that a cheap rug makes good financial sense at this point but wait until you learn how a good quality rug is constructed before you make a decision. If you have a large budget you may want to invest in a hand made rug that is constructed on a loom by a person and not by a machine. Handmade rugs are usually made from more expensive basic materials like wool, silk or cotton as natural fibres give good durability. Rugs like this are made in much the same way as a large carpet with a warp thread that goes up and down and a weft thread that is woven through these to construct the rug. The way that these threads are interwoven will create a pattern and the type of thread used will give the finish. 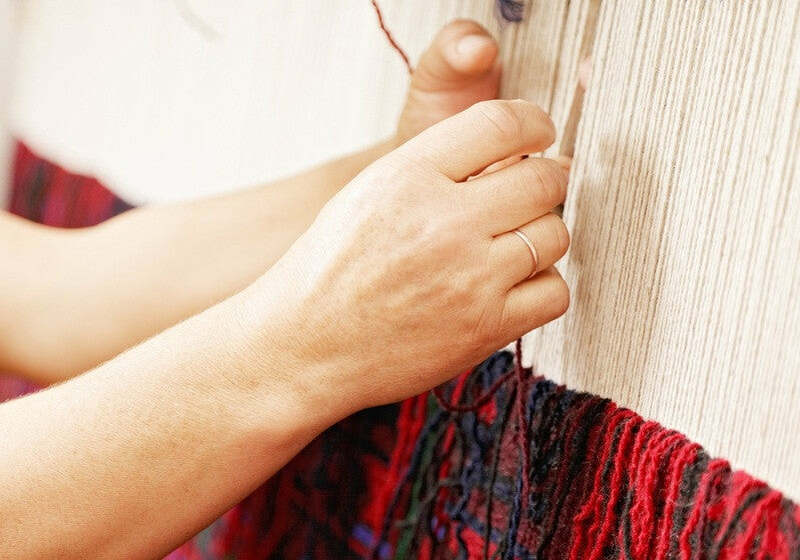 The most common method is the knotted weave where every knot is tied by hand and a square inch can have up to 1000 knots that means that a standard 9ft x 12ft rug would take over two years to make, hence the price. A handmade rug can be identified by the fringe which will be a part of the construction of the rug and not just sewn on afterwards. Handmade rugs will quite often have slight imperfections and flaws in them and may be slightly misshapen or have mistakes in the overall pattern. These ‘flaws’ all add to the uniqueness of your rug and only serve to enhance the value. A good handmade rug could, with proper care last several lifetimes and be passed from family to family so, although the initial expense is large, it becomes cost effective over time. The colours and texture will change with time and this will add to the beauty of your rug. 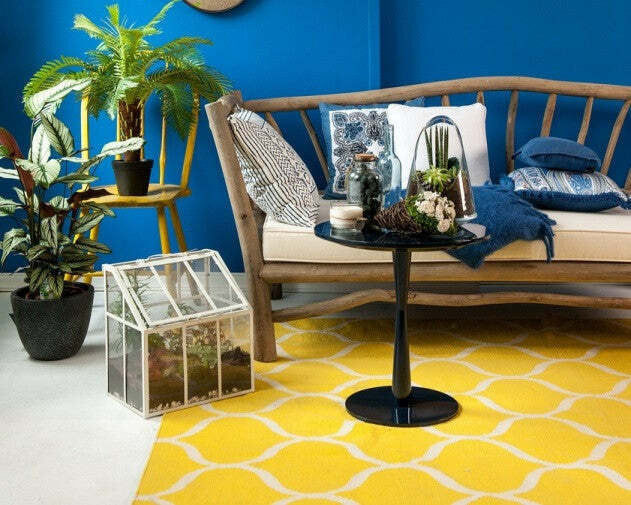 If your budget doesn’t run to such quality don’t despair there is a huge choice of rugs that are machine made and therefore come at a fraction of the cost whilst still giving enormous choice of colour, pattern and style. Cheaper rugs are usually machine made on a power loom and as such are mass produced. This does not mean that they are not of good quality however. Bear in mind the materials used in your rug, if cheaper man made fibres are used you may end up with a rug that only lasts a short time.Wool is used in both the handmade rug manufacture and also in machine made, and is probably the best material for longevity and value for money. For the most part cost really does mean quality when purchasing a rug as the materials used and the construction will add to the price, however when you have a gorgeous rug that makes your room complete it will worth it.